It would be funny, if it weren’t so damn sad. As a protest against the House Republican decision to pass a healthcare bill that will cause millions of people to lose their insurance, one programmer has set up a website that helps you mail your ashes to the ghouls responsible for your death. On Thursday, House Republicans passed the Affordable Health Care Act, and it’s on its way to the Senate where its expected to face tougher opposition. 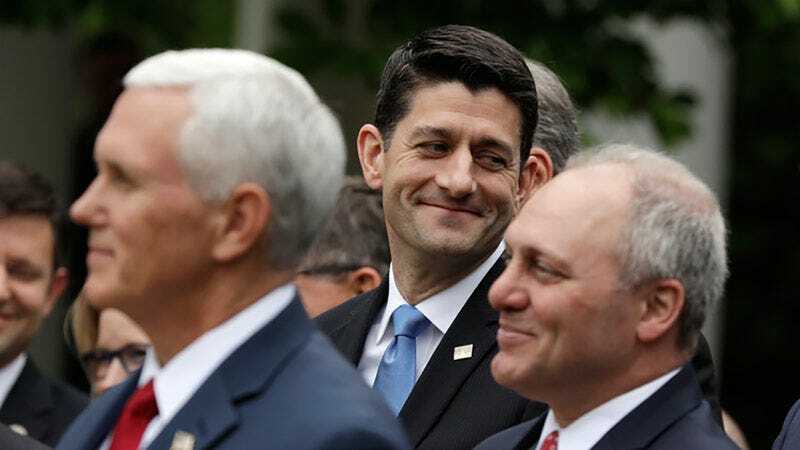 The latest version of the bill has not received an updated analysis by the Congressional Budget Office, but the last score it received estimated it would increase the number of Americans without health insurance by 24 million. Only minor changes have occurred since the analysis. When that score came out, most lawmakers jumped ship over fears of voter outrage. This time, the Republicans pushed ahead without a score, so they could hit the news shows and lie their asses off. One person who believes she’ll lose her health care is Zoey Jordan Salsbury. She built the website Mail Me to the GOP and subsequently tweeted, “Is #AHCA going to kill you? Me too. That’s why I made a way to be sure your ashes get sent to a GOP Congressperson.” It’s a macabre protest that is horrifying and, therefore, bound to make an impression. The site offers some informational services on how to contact your Senator to urge them not to vote in favor of the bill, and it links to the names of all of the swing district Republicans who did vote for it in the House. There’s also the “Reasons we will die” page. After giving a name, email, and zip code, the page asks why you will die because of the Republican health care bill. Those responses are being collected on the web and will surely make a nice testimonial when notifying these politicians that they’ll be receiving their constituents ashes in the mail someday. A new CBO score for the bill is expected this week, along with more constituents showing up at the offices of lawmakers to inform them that no one wants this.